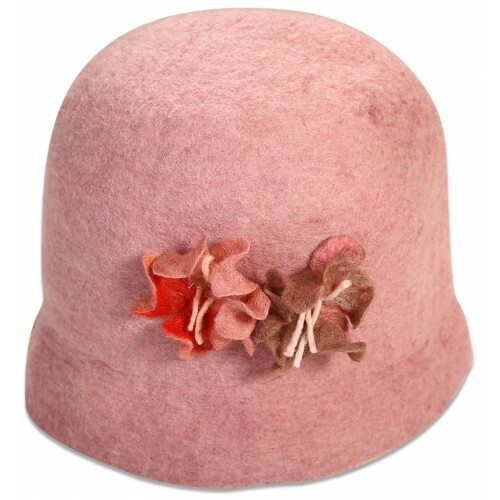 Pink felt hat. 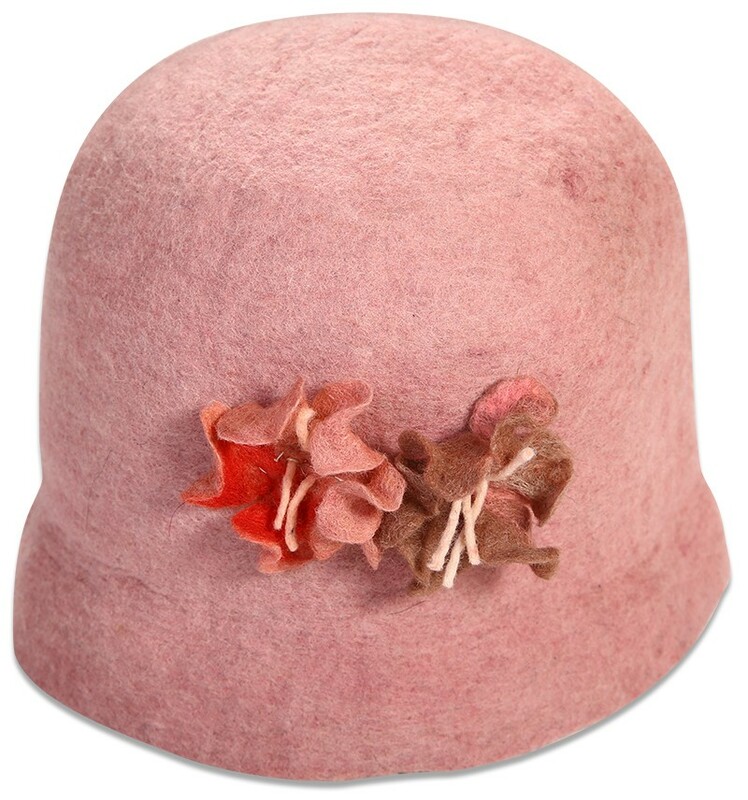 Our felt hats are made with hand dyed wool and sometimes fabrics. 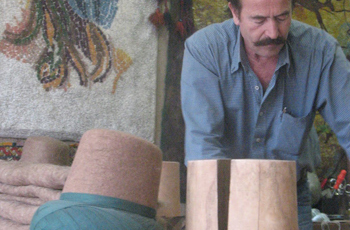 Using a flat resist we are able to produce numerous contemporary shapes. 2layers of wool and fabric layout the base design which is then decomposed and then recomposed in the blocking of the hat.